This unit is now obsolete and has been replaced by the SC6 Plus Colony Counter. Ideal for all microbiology applications, the SC6 colony counter provides fast and accurate counting of bacterial and mould colonies. The SC6 colony counter is easy to use. 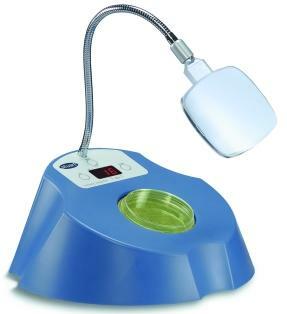 Simply place the Petri dish on the electronic pressure pad and touch the dish with a felt tip pen to mark each colony. The touch pressure causes a count to be registered on the digital display and an audible tone confirms each count made (the sound can be switched on or off as desired). Any suitable implement - a felt tip pen for example - may be used to apply pressure to the dish. 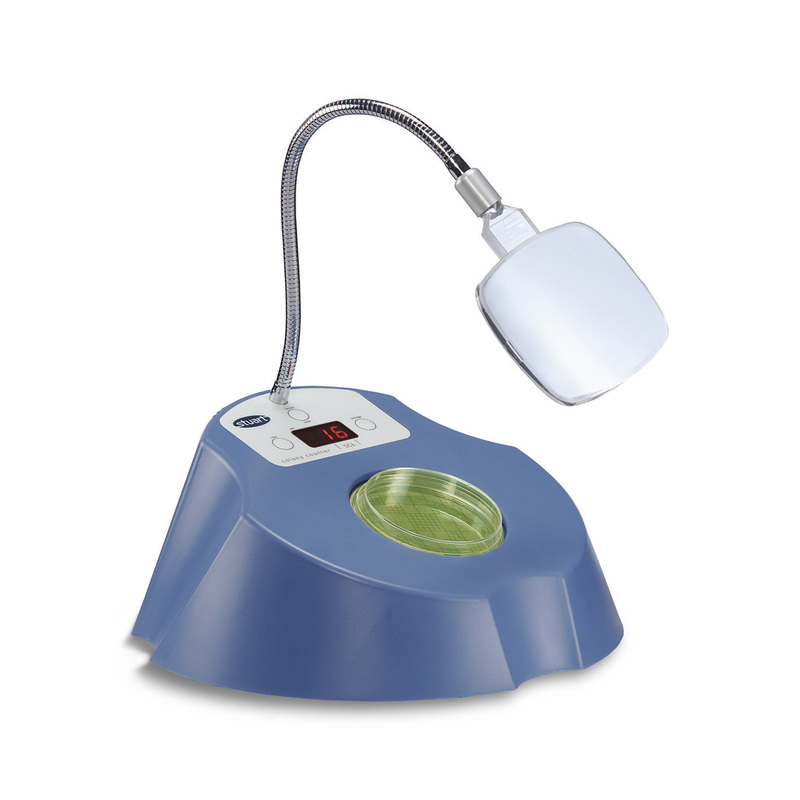 The sensitivity required to register a count can be adjusted to suit with an easy to use dial. This unit can also be used to count multiple plates, and then calculate the average colony count via the built-in averaging facility. A choice of either white or black background on which to view colonies is available. The black background aids the viewing of difficult, translucent colonies. Two dish centering adapters are provided to enable the use of 50 to 90mm Petri dishes. In addition, the receiver dish may be easily removed for cleaning. The SC6 colony counter is supplied complete with one Wolffhuegel graticule, one segmentation disc and two centering adapters for 50 to 90mm Petri dishes. 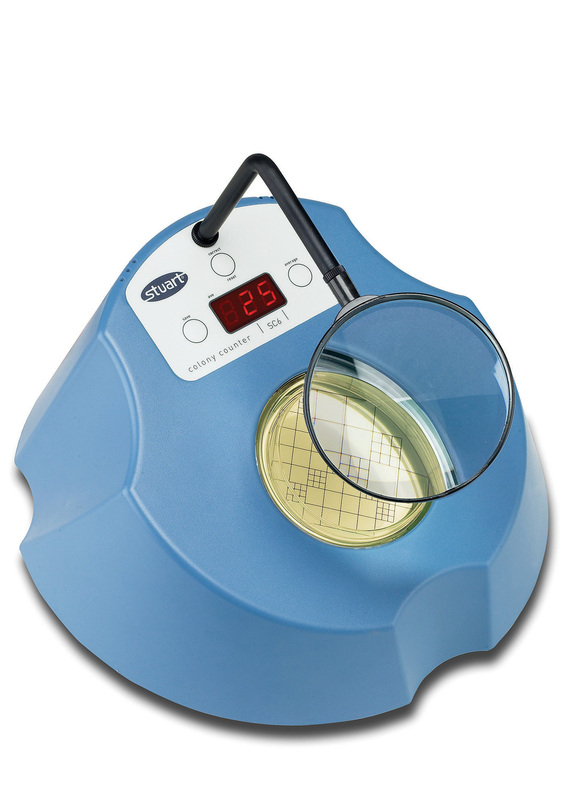 A choice of magnifiers is available to aid easier counting of smaller colonies.